A. J. Steiner, 1940s. Family photo. Albert James "A. J." Steiner: farmer, bishop and conference leader; born 30 October 1876 north of Beaverdam, Ohio (and west of Bluffton) to Christian P. Steiner (19 August 1832-28 July 1910) and Barbara Thut Steiner (12 September 1841-21 July 1927). He was the eighth child and fourth son in a family of 10 children. There was one earlier son (d. 1859) born to Christian Steiner and his first wife, Magdalena Blosser Steiner (25 October 1835-18 February 1859). One of A. J. 's older brothers, Menno Simon "M. S." Steiner, became a well-known leader in the Mennonite Church. Albert married Martha Whitmer Steiner (10 November 1878-12 September 1928) on 19 March 1904; they had three sons, David, James and John. After Martha's death, A. J. married Mary Metzler (18 June 1893-24 September 1976) on 5 November 1929. A. J. Steiner died in Rittman, Ohio on 20 August 1965; he is buried in the Midway Mennonite Church cemetery. A. J. Steiner grew up on an 80-acre mixed farm in a family that was still transitioning from German to English, but valued higher education and embraced full participation in late 19th century American culture. One of A. J. 's brothers became a doctor, and another became a lawyer. A. J. Steiner had a conversion experience on 24 May 1893 at evangelistic meetings led by his brother, Menno. He was baptized into the Zion Mennonite congregation, in which his father was a minister, on 3 June 1893. Between 1895 and 1900 he studied at various times at Elkhart Institute in Indiana and at Ohio Normal University closer to home. He was one of the first graduates from the Bible department at Elkhart Institute in 1900. He attended Ohio Normal for one more year after that, but did not attain a degree. From 1901-1903 Steiner was involved in several newspaper ventures in Bluffton, Ohio both as owner and editor. He left Bluffton at the time of his marriage and moved to the farm on which Martha Whitmer had been raised, south of North Lima, Mahoning County, Ohio. In 1905 there was an extended controversy on whether A. J. could be ordained at the call of a congregation across the state, or whether he should submit to selection by lot. Finally A. J. Steiner was ordained (without the lot) on 18 March 1906 by Allen County, Ohio Bishop John M. Shenk as a minister for the small Blanchard congregation in Putnam County, Ohio. For reasons that remain obscure, A. J. and Martha Steiner returned to North Lima in March 1908 after two years of ministry. With some hesitation because of his controversial ordination Steiner was accepted by the local congregation as one of its ministers. Following the death of Bishop John Burkholder, Steiner was ordained by lot as bishop for the Columbiana and Mahoning county congregations on 4 December 1910. From his farm base, A. J. Steiner began a long period of intense activity within the Ohio Mennonite Conference and the larger Mennonite Church. He served on the board that initiated a city mission in Youngstown, Ohio in 1908 and was acting superintendent for the mission in 1910. He helped to establish a Bible School in Canton, Ohio in 1912. He was secretary of the Ohio Mennonite Sunday School Conference from 1907-1912, and its first "Field Secretary." He also served on the executive committee of the Ohio Mennonite Conference beginning in 1917, and was its Moderator from 1920-1927. 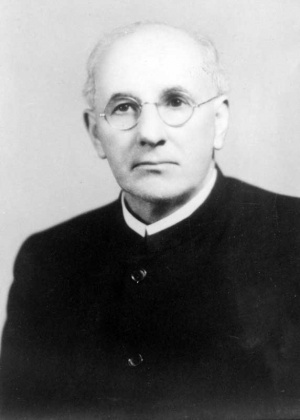 He was also President of the Ohio Mennonite Mission Board from 1919-1924. In 1927 Steiner was instrumental in promoting the merger of the Ohio Mennonite Conference and the Eastern Amish Mennonite Conference that formed the Ohio Mennonite and Eastern Amish Mennonite Joint Conference. He served as moderator of the merged conference 1927-1929 and again from 1938-1943. In the active leadership years of the 1920s A. J. was very supportive of Martha Steiner's leadership role in the new Ohio Women's and Girl's Missionary Society which she helped to found and in the denomination's Mennonite Woman's Missionary Society. Less happily in his moderator's role he was caught in the modernist-fundamentalist debate that challenged the unity within the Mennonite Church in the 1920s. In 1924 he chaired an Ohio Mennonite Conference meeting that expelled the Zion congregation in which he had been raised, and which included among its ministers his brother-in-law, Paul Whitmer, and former friend, John E. Hartzler. Both men were "liberals" then associated with Bluffton College. A. J. and Martha Steiner were also caught in a conflict between the Mennonite Board of Missions and Charities and the Mennonite Woman's Missionary Society which functioned as a para-church organization of state and local women's societies that wanted to develop its own programs. Martha Steiner had become General Secretary of the Mennonite Woman's Missionary Society in 1926 after the resignation of her sister-in-law, Clara Eby Steiner. Ultimately the Mission Board's will prevailed and it compelled the leadership of the Missionary Society to transfer its program and structure over to a committee directly accountable to the Mission Board. A. J. Steiner served on the committee that oversaw the transfer that took place during the last year of Martha's life and he tried to mitigate the harshness of some of the decisions made by the Mission Board. A. J. Steiner also served on program boards for the Mennonite Church, including the Mennonite Board of Education (1920-1932, 1936-1942), Mennonite Publication Board (1927-1931, 1937-1938), and Mennonite Board of Missions and Charities (1920-1924). As a member of the Board of Education he was part of a sub-committee that recommended closing Goshen College in 1923-1924. During his first 20 years of bishop and conference leadership, A. J. Steiner could be described as a moderate progressive. He served on an early planning committee for a Bible Training School that eventually became the Witmarsum Theological Seminary and was an early supporter of the Young People's Conference. He ultimately withdrew from the seminary project because he wished it to be linked to Goshen College. He encouraged strengthening the institutional structures of the Mennonite Church, promoted higher education, and was friends with leaders who studied at more liberal theological schools. Although a fundamentalist in his own theological understanding, Steiner was always a conciliator when possible. His strength and vision for leadership lessened considerably after the death of his spouse, Martha, in 1928. Though he continued to hold significant leadership roles into the 1940s, he became much more cautious and more influenced by the strong conservative voices then dominant in the Mennonite Church. Because of the profile A. J. Steiner achieved in his various roles, he was frequently invited to speak in special meetings at congregations the US Midwest and Ontario, and these requests continued into the 1940s. Ill health combined with several heart attacks limited his activity after 1948, and he was bedfast for much of the last decade of his life. Although he was not as dynamic a personality as his older brother, Menno S. Steiner, A. J. Steiner was a leader who worked towards inclusiveness in the church, which led to attacks from the most conservative parts of the Mennonite Church. One of his greatest joys was that all three of his sons also became Mennonite ministers. Martin, Ernest D. "Biography of Albert James Steiner," Unpublished paper, 1951. Copy available at Mennonite Historical Library, Goshen, Indiana. Stoltzfus, Grant M. Mennonites of the Ohio and Eastern Conference; From the Colonial Period in Pennsylvania to 1968. Studies in Anabaptist and Mennonite history, no. 13. Scottdale, Pa: Herald Press, 1969. Available in full electronic text at http://www.mcusa-archives.org/library/omh/index.htm. Steiner, Sam. "Steiner, Albert James (1876-1965)." Global Anabaptist Mennonite Encyclopedia Online. January 2011. Web. 21 Apr 2019. http://gameo.org/index.php?title=Steiner,_Albert_James_(1876-1965)&oldid=117062. Steiner, Sam. (January 2011). Steiner, Albert James (1876-1965). Global Anabaptist Mennonite Encyclopedia Online. Retrieved 21 April 2019, from http://gameo.org/index.php?title=Steiner,_Albert_James_(1876-1965)&oldid=117062. This page was last modified on 31 March 2014, at 19:36.